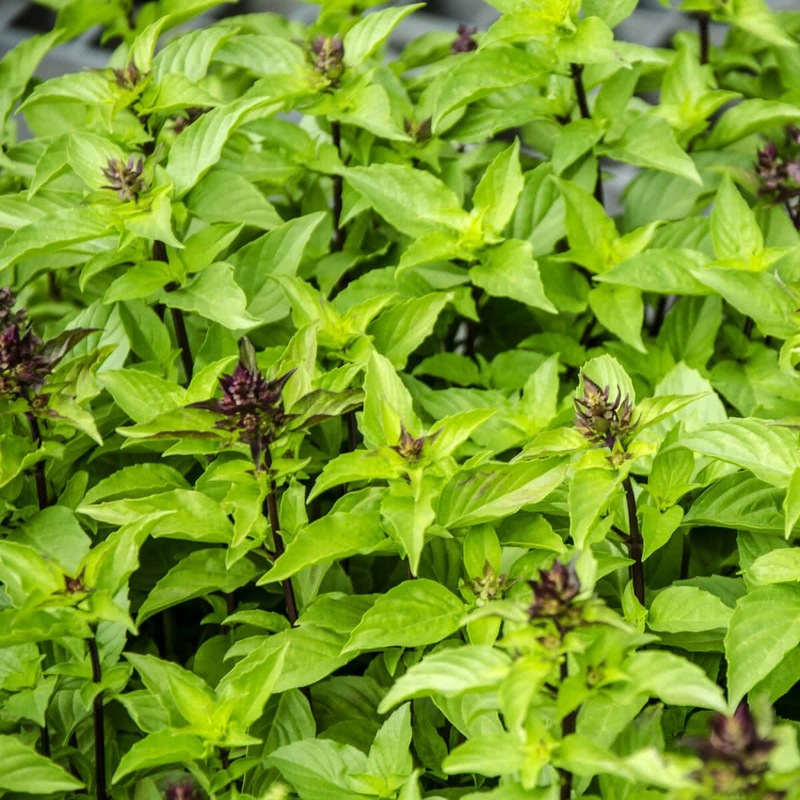 Thai basil has a purple stem, and like other plants in the mint family, the stem is square. Its leaves are opposite and decussate. 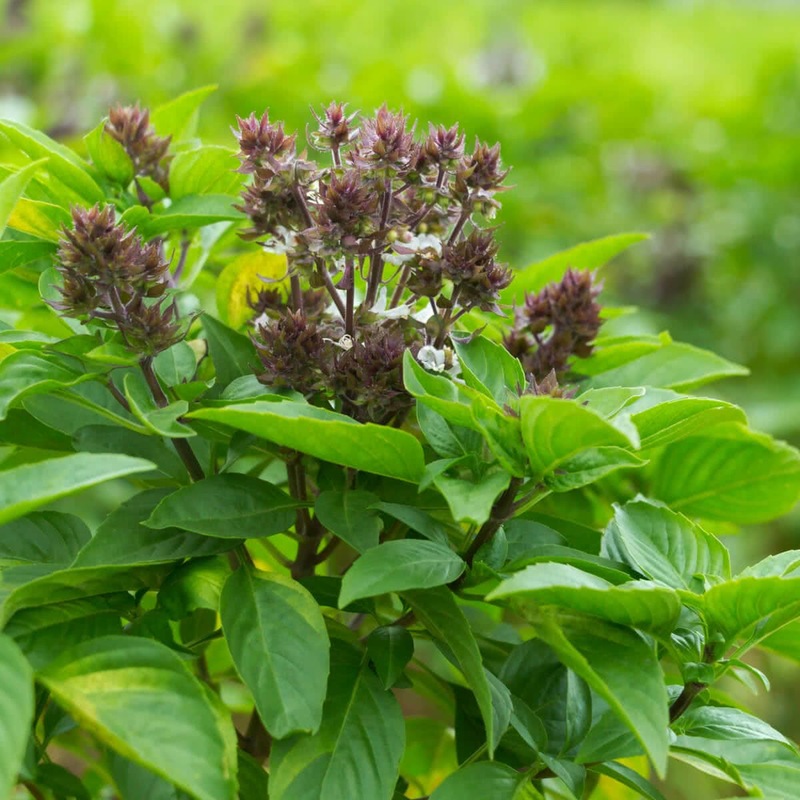 As implied by its scientific name, Thai basil flowers in the form of a thyrse. The inflorescence is purple, and the flowers when open are pink.